It seems jamming plums is a popular thing to do with us Dabblers. I was lucky enough to stumble upon a heavily laden plum tree at the edge of a neighbor’s yard. Since they weren’t picking the plums, i picked a pretty peck for myself! Over 15 pounds! I dried the first batch, but as we’re out of jam i felt the need to get the canning supplies out and make some jam! I am not a fastidious person. This laziness makes canning difficult for me. Once i get going, i’m fine – but i’m frequently daunted by all the cleaning and preparing that is necessary for safe canned goods and often end up just freezing my work instead of processing it – which is really lame when you have a small freezer but plenty of cupboard space. I wasn’t a chicken this time, and put up 10 half pints of plum/blackberry (last year’s frozen berries) jam and half a dozen jars of spicy plum sauce which i think will accompany the rabbits i have in the freezer quite nicely. 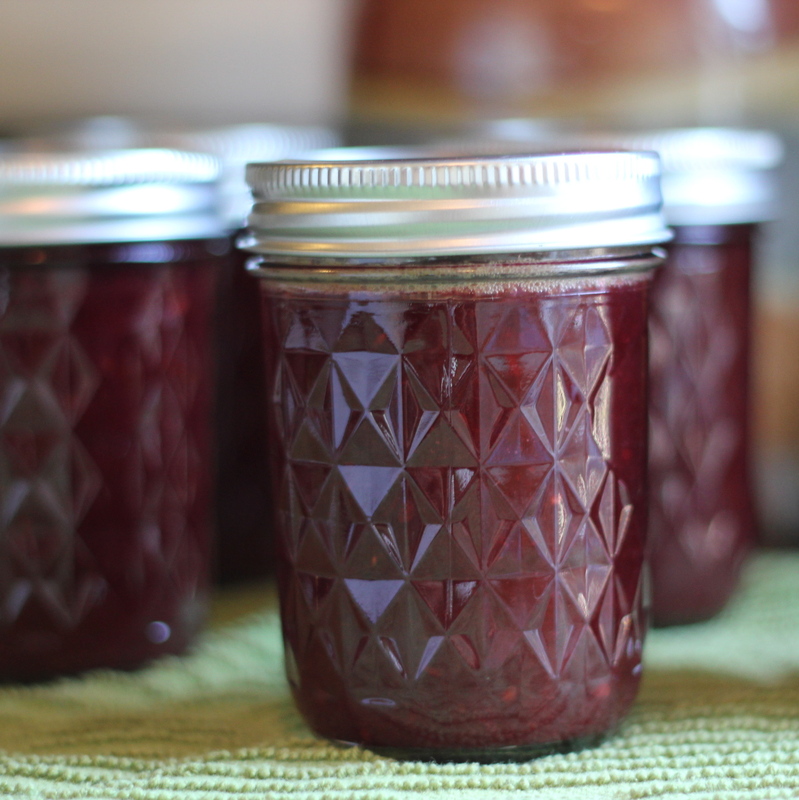 I got the plum sauce recipe right out of the Ball Blue Book and scrimcoached the jam recipe. As i cooked down the fruit i perchanced to notice that the coupon found in my pectin box was dated 2008…. finding that odd i looked more closely at the expiration date on the pectin itself: April 2010! Woopsy! I only bought this pectin last year, though i did buy it from the bare and no de-funct grocery store here in Philomath…… Note my lack of fastidiousness. Luckily, the jam tastes and jelled just fine- so i think i’m in the clear. 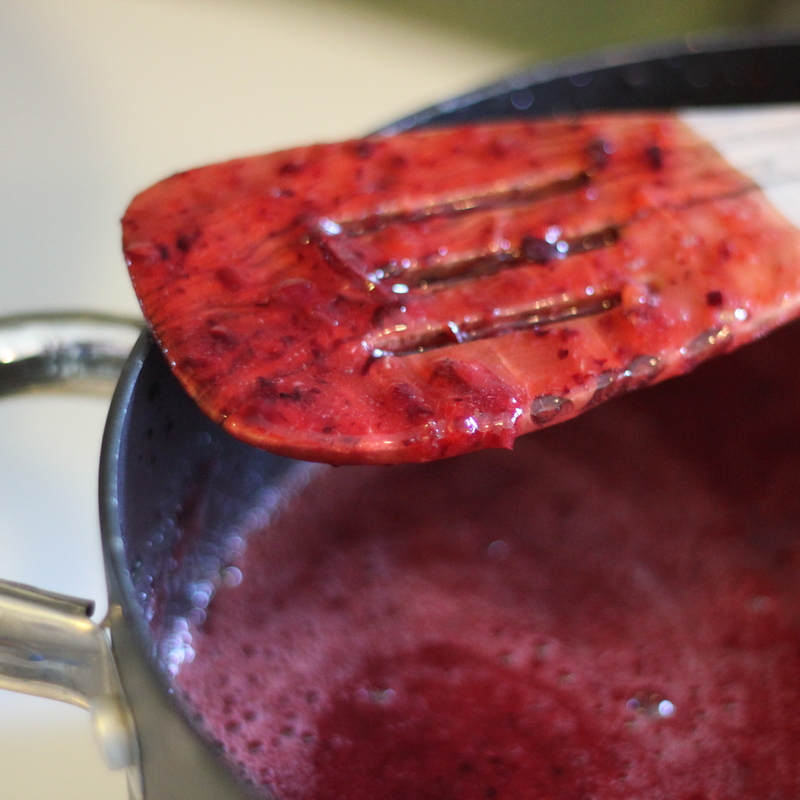 I used about 2 cups sugar to 5 pounds chopped plums and berries with a splash of lemon juice and a package of pectin. I can’t wait for toast this Winter spread on homemade bread and raw butter. No baking this time of year, it’s too darned hot! What’s been filling your canning jars so far this Summer?